5 bedroom and 5 bathrooms. Majella Chalet sleeps 12 in comfort. All living space is on the ground level. A large gourmet kitchen and open plan dining and 2 living spaces. All 5 bedrooms and 4 of the bathrooms are upstairs. The second living also has a Billiard/table tennis table to keep you entertained on those nights you would like to spend in and just enjoy the Chalet. The chalet offers beautiful natural timber finishings, and 5 bedrooms which are all located upstairs. The master bedroom features a large en suite bathroom with a spa bath, as well as views over the reserve. The second bedroom also has an en suite bathroom. There is an open plan, fully equipped kitchen which overlooks a spacious dining area. Enjoy the lovely views from the window seat. Guests enjoy a games room complete with billiards, table tennis and a TV. Other facilities offered include grocery deliveries, a laundry and a ski drying room. Nearby activities include skiing and hiking. The property offers free parking. 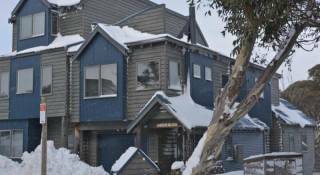 Majella Chalet is within a 5-minute walk of a number of cafes and restaurants. 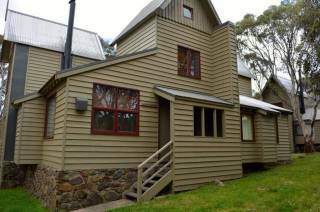 It is a 2-minute walk from the Onsen Retreat and Spa and a 10-minute drive from Mt Hotham Alpine Resort. In providing booking services alpine-getaways ABN 34 078 248 807 ("alpine-getaways") acts as an agent for various property owners and alpine-getaways does not accept or undertake any personal liability when acting in this capacity. Premises are let for holiday purposes only for the period stated on your letter/receipt by alpine-getaways, but may be subject to change as may be notified by the owner prior to the commencement of the booking. All advance deposits are accepted on behalf of the current owner, however we will not accept responsibility for decisions, actions or arrangements taken by the current owners of the premises or any other body which is outside our control. alpine-getaways reserve the right to cancel any booking should anything arise, which in our opinion absolutely renders the booking impractical. In either event, we shall notify you as soon a possible and do out best to arrange alternative accommodation or alternative dates suitable, failing which all deposit monies paid will be refunded, but no other claim, right or action shall exist in or be made by either party. It is our aim at all times to get our clients into their accommodation as soon as possible on the day of their arrival. During winter however the premises are available from 4.00pm. The premises are to be vacated SHARP by 10.00am on the day of departure. The purpose of these strict times is to allow the necessary time to clean the premises. Please consider your fellow incoming/outgoing holiday occupants. Car parking at the accommodation is also not available till time of check-in. We cannot allow access for the storage of any items prior to your check in time. Failure to depart before 10:00 on the day of departure may incur and extra charge which will be 1/7th of the 7 night peak season rate. All damage, breakages or losses to the property and/or furniture/furnishings are to be reported to the alpine-getaways and paid for immediately. All furnishings and equipment must be left in the premises as originally found. All properties have a strict NO SMOKING Policy. Functions and parties on the premises are strictly not allowed. alpine-getaways reserves the right to terminate your tenancy immediately if you cause nuisance or annoyance to neighbors or are found to be holding a function or party. Unless stated within the property description, all premises are fully self-contained including linen i.e. sheets, pillowcases, towels, bath mats, tea towels. The premises are not serviced during your stay. The maximum number of persons permitted to occupy the booked premises will form part of the booking contract and will be nominated when you make your booking. Persons found occupying the premises over and above the number on the booking form will be charged automatically to the security deposit at $500 a day for the term of the booking. You are required to allow repair and or service personal to enter the premises for the purpose of conducting any repair or service deemed necessary by alpine-getaways. Such times of entering will be arranged prior where possible and will between the hours of 9:00 AM and 5:00 PM. 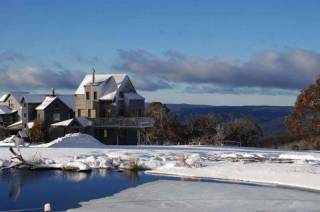 All persons should be aware that Dinner Plain/ Mt Hotham are located within an isolated area. This logistically can sometimes create difficulties in locating parts and suitable persons for the repair and maintenance of some items within the property you have rented. alpine-getaways at all times will do it's very best to remedy items that are not operational in a reasonable time-frame. alpine-getaways and or the property owner takes no responsibility for delays in the repair that are outside its control. Payments A deposit of 50% of the total cost of the booking, inclusive of all services ("Total Cost"), must be received within 3 working days of the reservation being made before a reservation can be confirmed. Failure to do so may result in the reservation being automatically cancelled without notice. Final payment of the remaining 50% of the Total Cost must be received no later than 30 days prior to the arrival date. Failure to make the final payment on time will result in the booking being automatically cancelled without notice. Payment must be made in full, no part payments can be accepted and the payment must be made by the person whose name the booking is in. When payment is made by direct transfer from one account into another the payee must include name of booking in the details and if possible dates of booking. Any charge for services to you, not billed at the time of your confirmation will be added to your account for settlement and be charged to the same credit card used as security at the time of arrival. Cancellation fees will be charged in accordance with the Cancellation Conditions set out below. If the date on which the reservation is made or the date on which the deposit is otherwise due, is less than 30 days prior to the arrival date, immediate payment in full of the Total Cost is required at the time of making the reservation unless otherwise notified to you at the time the reservation is made. Credit Cards A 2% merchant fee applies on all credit card transactions. Payment Plans A deposit of 20% of the total cost of the booking, inclusive of all services ("Total Cost"), must be debited to your credit card within 3 working days of the reservation being made before a reservation can be confirmed. Failure to do so may result in the reservation being automatically cancelled without notice. The remaining 80% of the Total Cost must be paid by credit card in equal installments, which will be calculated by the system with the final instalment paid no later than 30 days prior to the arrival date. Failure to make the final payment on time will result in the booking being automatically cancelled without notice. Payment must be made in full, no part payments can be accepted and the payment must be made by the person whose name the booking is in. When payment is made by direct transfer from one account into another the payee must include name of booking in the details and if possible dates of booking. Any charge for services to you, not billed at the time of your confirmation will be added to your account for settlement and be charged to the same credit card used as security at the time of arrival. Cancellation fees will be charged in accordance with the Cancellation Conditions set out below. If the date on which the reservation is made or the date on which the deposit is otherwise due, is less than 30 days prior to the arrival date, immediate payment in full of the Total Cost is required at the time of making the reservation unless otherwise notified to you at the time the reservation is made. Cancellation Fees. Cancellation of a booking must be in writing & must be received by alpine-getaways at the address or fax number stated at the end of these terms & conditions. Cancellation fees will be charged on confirmed bookings in accordance with the following. Cancellation Conditions. Failure to make final payment on the due date will result in an automatic cancellation of the booking without notice & the following Cancellation Conditions will also apply. Deposits cannot be transferred between properties & will not be refunded or applied towards payments for any other properties. Cancellation Policy. Bookings cancelled will incur a cancellation fee of 100% of the Total Cost (that is, there will be no refund) . Security Deposits. 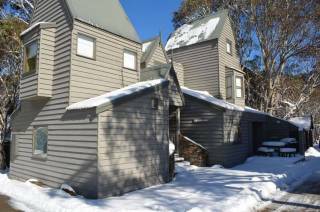 Security deposits apply on all properties and a security deposit form will be required to be completed and faxed to 03 5159 6700 or emailed to bookings@alpine-getaways.com before occupation is allowed. To complete the security deposit a valid credit card will be required. 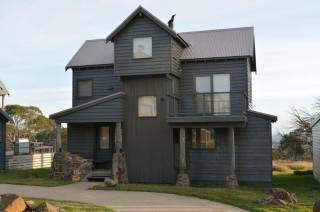 The security deposit form will be emailed to you before arrival in Dinner Plain/Mt Hotham. Failure to complete the security deposit prior to your arrival will see delays in you gaining access to the property. Weather Conditions . Under no circumstances can alpine-getaways or any of the property owners be held responsible for snow or weather conditions and cancellations made thereafter. Holidays cannot be cancelled other than in accordance with the cancellation policy detailed in this document. Entry to Alpine National Park - Entry to the Alpine National Park carries a daily fee which is the guest's responsibility to make this payment when entering the park. alpine-getaways cannot accept responsibility or liability for decisions, actions or arrangements taken by National Parks and Wildlife Services or VIC Police which are outside our control. Changes, Responsibility and Further Conditions - All information in respect of goods & services offered, including prices, is subject to alteration or withdrawal without notice. alpine-getaways have the right to alter, amend or cancel all or any arrangements or prices in regard to accommodation. The right to alter prices referred to in the preceding paragraph applies until alpine-getaways has received a deposit. No responsibility or liability is accepted or undertaken by alpine-getaways, its employees, agents or contractors for any death, injury, accident, damage to personal property (including baggage) or any other matter arising from any act, omission or thing outside of their control. In addition to the terms & conditions set out above, any booking is subject to such further terms & conditions as advised at the time of booking or as may be displayed at the time of utilization of the item or service. Any provision of, or the application of any provision of, these term & conditions which is void, illegal or unenforceable in any jurisdiction does not affect the validity, legality or enforceability of that provision in any other jurisdiction or of the remaining provisions in that or any other jurisdiction. Privacy alpine-getaways is dedicated to keeping your details private. Any information, we collect in relation to you, is kept strictly secured. We do not pass on/sell/swap any of your personal details with anyone. We use this information to identify your orders, provide you with our monthly newsletter (if applicable) and to personalize your experience with us; that's all. Security Policy When purchasing from alpine-getaways your financial details are passed through a secure server using the latest 128-bit SSL (secure sockets layer) encryption technology.128-bit SSL encryption is approximated to take at least one trillion years to break, and is the industry standard. Pricing Policy alpine-getaways - All of our prices are in Australian dollars (AUD) and include GST (Goods and services tax) where applicable. Insurance. alpine-getaways recommends you obtain travel insurance. This insurance can protect you against loss of personal belongings, public liability & also against your need to cancel under certain conditions.